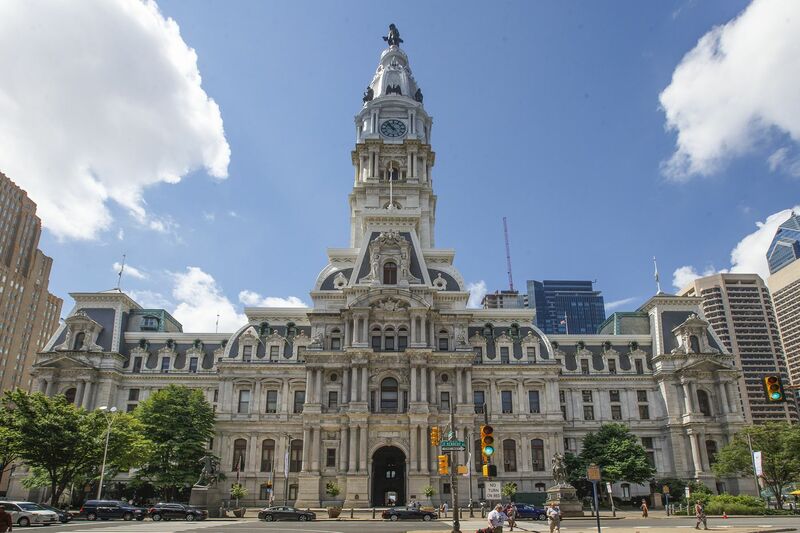 Stock Photos of Philadelphia City Hall. City officials have referred an extreme overtime case to the Office of Inspector General,following a nearly three-week internal investigation. Officials confirmed Friday they have handed over the case of payments to worker Joy Hurtt but would not discuss the results of its own internal review within the Department of Human Services. "Once it's in the IG's Office, we can't comment on it," said city spokeswoman Deana Gamble. Inspector General Amy Kurland said Friday that she couldn't confirm or deny an investigation by her office. The Inspector General is an independent watchdog office within City Hall that seeks to root out waste and fraud; it can refer the case to city, state or federal prosecutors if it believes crimes may have occurred. Kurland said that while her office has found cases of city employees stealing time, none has yet to be prosecuted for doing so. Usually, they are fired and must reimburse the city. Her office wouldn't publicize those names, she said. "Because it's an administrative misconduct and any kind of administrative misconduct … we sort of see it as invasion of privacy to publish something like that," she said. The city began reviewing payments to Hurtt, a youth detention counselor, after the Inquirer and Daily News reported that Hurtt had more than tripled her $49,551 salary with overtime. In fiscal year 2018, she was paid $161,818. The 33-year city government veteran took 57 days of paid leave between July 1, 2017, and June 30. So, the 2,872 hours of overtime she received, on top of a regular eight-hour shift, meant Hurtt averaged 14 working hours every day, including weekends. A week after the review was launched, a spokeswoman said that the Human Services Department had expanded the scope of the review to look at the department's overtime regulations. It's unclear whether the investigation went further. City officials initially defended Hurtt's overtime by saying that her unit has mandatory overtime to maintain an appropriate ratio of staff to detainees. As the second most senior member of her unit, Hurtt has priority whenever there is a need for overtime, and she almost always took the opportunity. In 2016 and 2015, Hurtt was also paid more than $100,000 in annual gross pay due to overtime. Under her city labor contract, OT is included in pension calculations. When she retires in 2021 (a date she picked through the Deferred Retirement Option Plan), she will get an estimated lump sum of $387,055 and start receiving an $88,495 annual pension for the rest of her life. Hurtt's overtime earnings were much higher than those of her peers. Excluding her, the average amount of overtime for her youth detention counselors was $23,000. She has declined to comment. This story has been updated to note that the Department of Human Services expanded its review to look at overtime regulations, not simply Hurtt's unit.